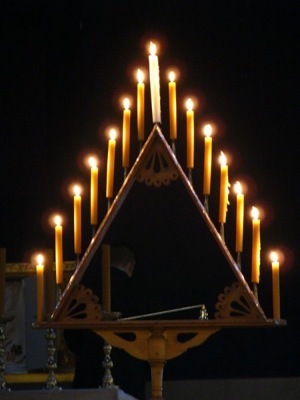 The word Tenebrae is Latin for “shadows” or “darkness”. It can also be translated as “night” or “death”. The Tenebrae service is an ancient tradition in Christian history that took place on one of the last three days of Holy Week: Maundy Thursday, Good Friday or Holy Saturday. The purpose of this service was to remember the sombre events that occurred in Jesus’ life from the exuberant entry into Jerusalem on Palm Sunda:y through the night of Jesus’ burial on Good Friday.